The fall are formed when water from a brook flows down a sloping stepped cliff. The falls are much more spectacular during the wet seasons. 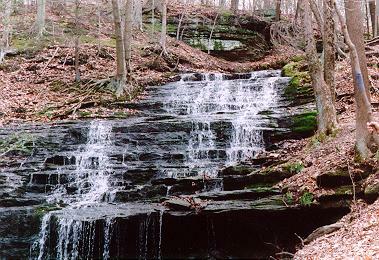 A hiking trail provides easy access to both the top and bottom of the falls. When visiting be sure to check out Wadsworth Big Falls as well.